I had the opportunity to meet with leaders from the Muskegon County Health Dept., the YMCA of Muskegon, and Mercy Health to discuss the ongoing efforts to build a healthy community. I learned about the 1 in 21 project http://1in21.org/ to move the county to the top of the state health rankings by 2021 and the infusion of new energy by being awarded the Way to Wellville Challenge http://www.forbes.com/sites/robwaters/2014/08/18/how-healthy-can-they-get-five-american-towns-chosen-as-contestants-in-five-year-way-to-wellville-challenge/ I love hearing about business leaders who believe a healthy community is vital to academic success and economic development. This is an exciting opportunity to build a healthier community and I’m looking forward to being a part of the process!! I also met with YMCA CEO Bruce Spoelman & toured the YMCA of Muskegon http://muskegonymca.org/ and the beautiful lakefront property it occupies. Plans are underway to create even more programming and member opportunities to use the lakefront and be part of the resurgence of this downtown location. Great stuff happening!! 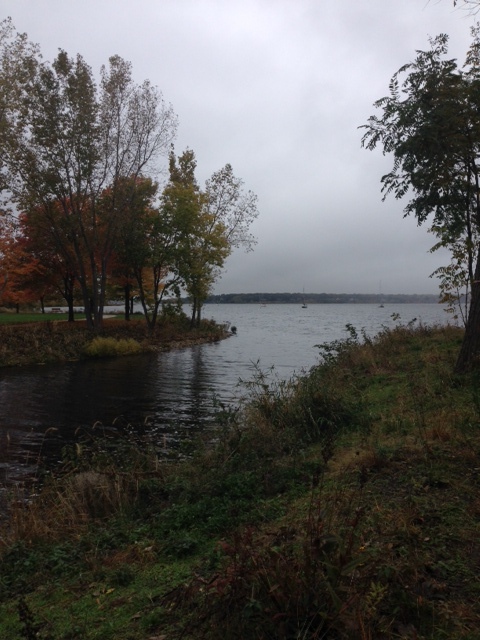 Beautiful inlet surrounding the Y with walking trails and benches. 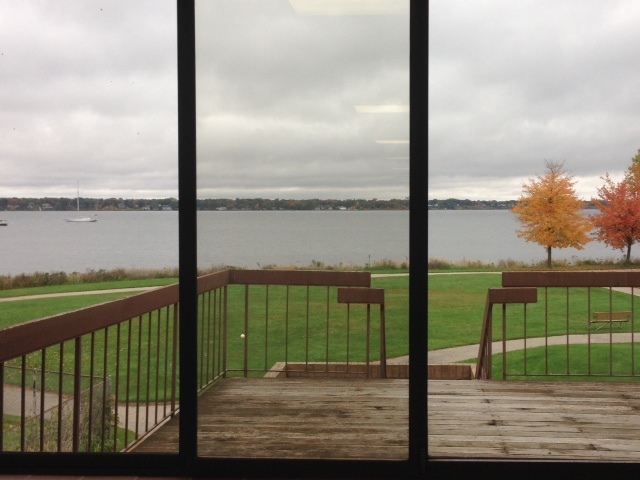 View of the lake from inside the wellness facility. Great deck for post-workout sun & stretch! I’d love to teach a yoga class there!! 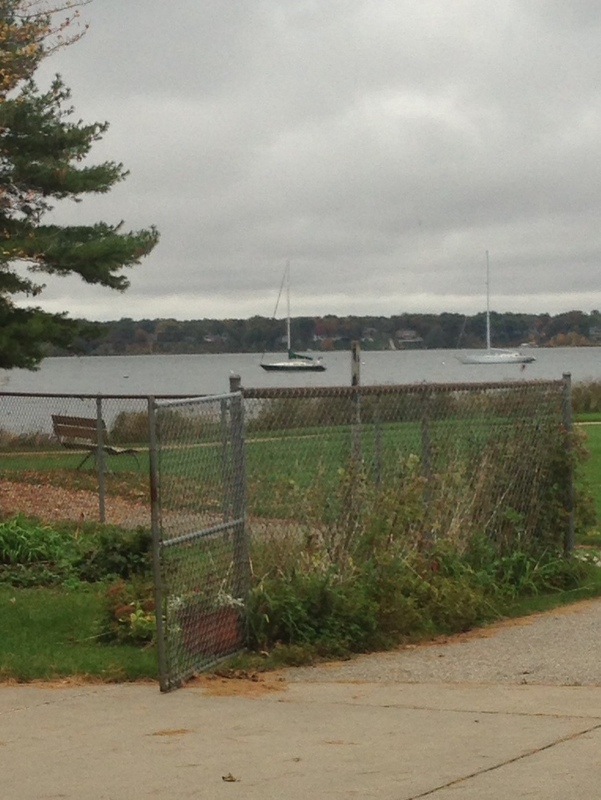 Sailboats still moored late in the season–hope they can sneak in a few more outings to enjoy the fall color by water!